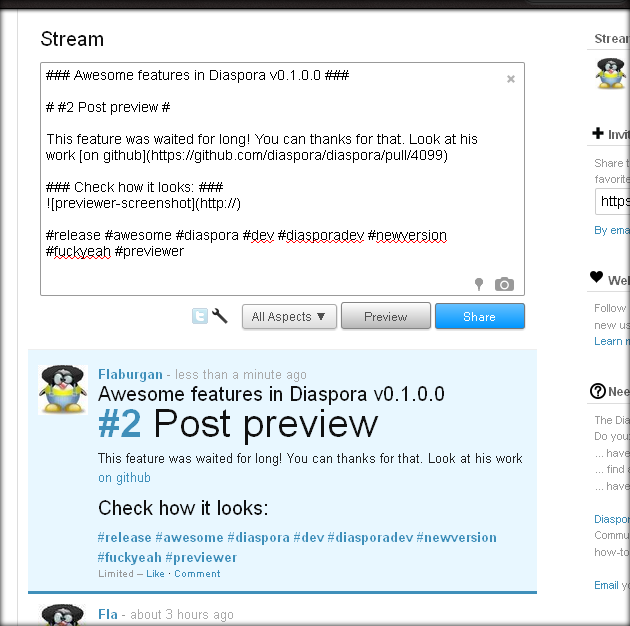 It is a fscinating news to those in the FOSS world that their favourite open source social networking platform - DIASPORA has released its new version - v0.1.0.0 ( I ask the creators, the hell dudes?? why not v1.0.0.0. Why a preceding 0?? ). This one is a toast to the tongue as it comes with a brand new set of cool and amazing features and I plan to share (good artists copy, great artists steal) those features here. 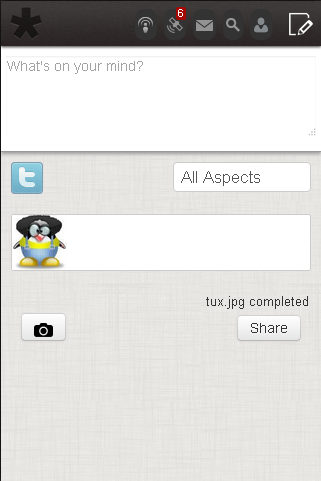 With the release of Diaspora v0.1.0.0, it's possible to upload photos to your stream from mobile devices. This might be one of the most long-awaited features in Diaspora history! You can now preview your posts before committing them to the stream. No more frustration from those silly spelling mistakes!